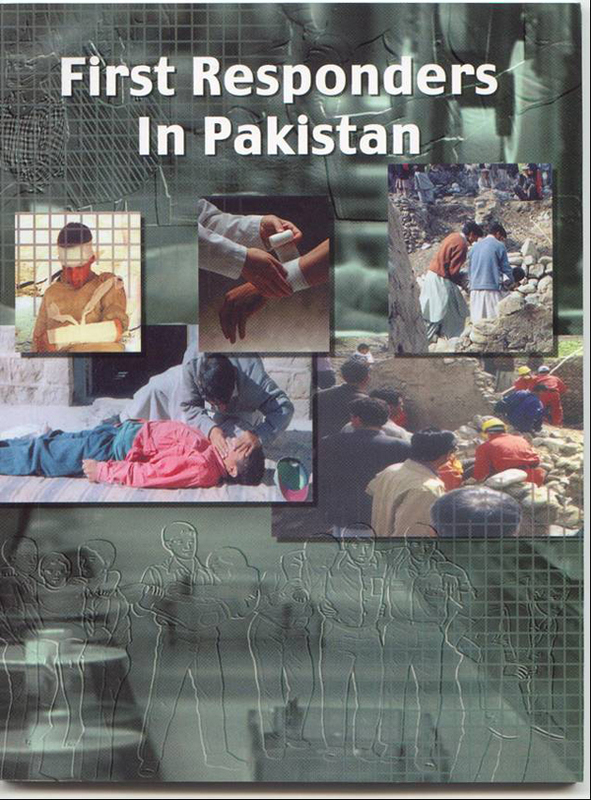 The five years performance report of the service describe brief history of establishing first modern Emergency Service (Rescue 1122) in Pakistan, it policies end processes for sustainable human resource development and major rescue operations managed by the Service during first five years. 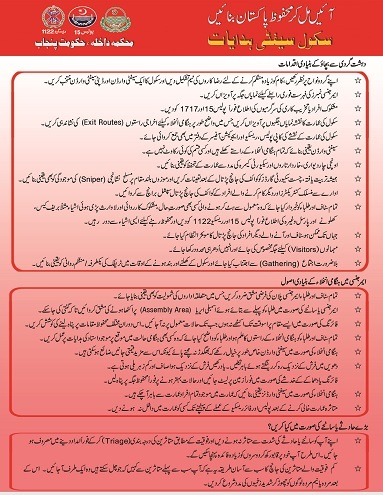 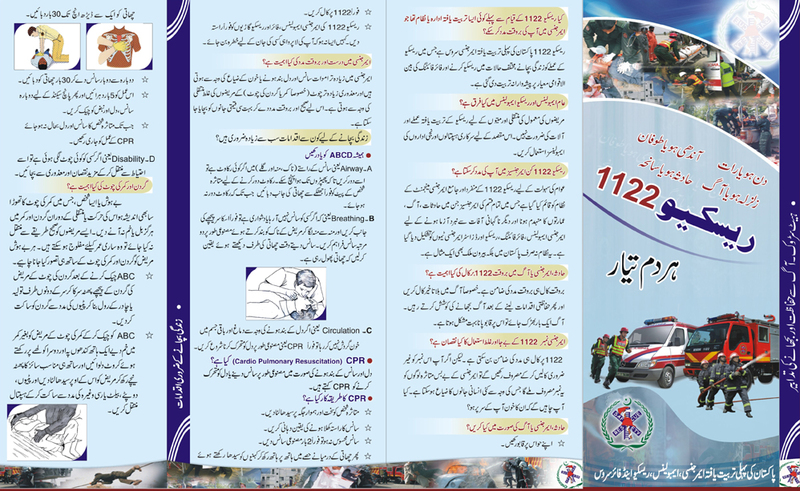 Rescue 1122 - Community Awareness Literature. 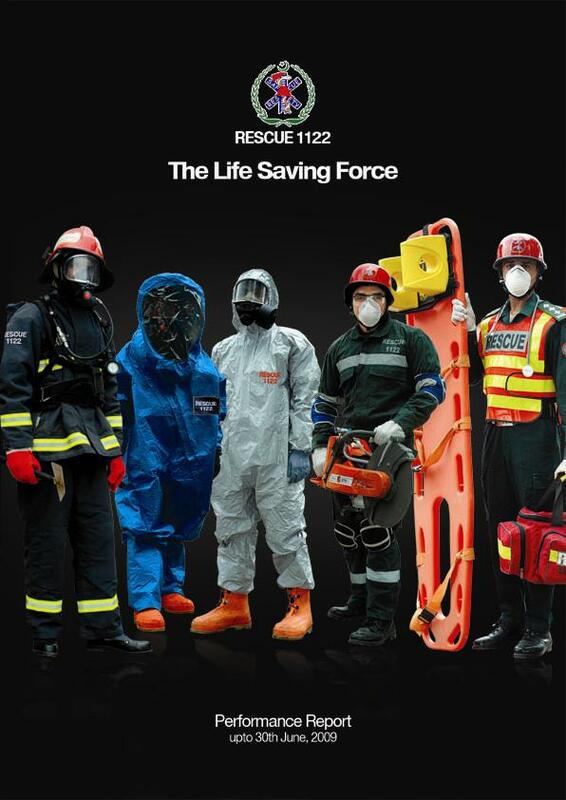 The Punjab Emergency Service (Rescue 1122) has initiated Community Safety program to ensure community participation in Emergency Preparedness, Response and Prevention. 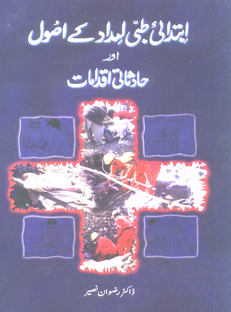 Community training leaflets have been developed in this regard to impart training of Basic Life Saving Skills and Emergency Evacuation Procedures to the citizens. 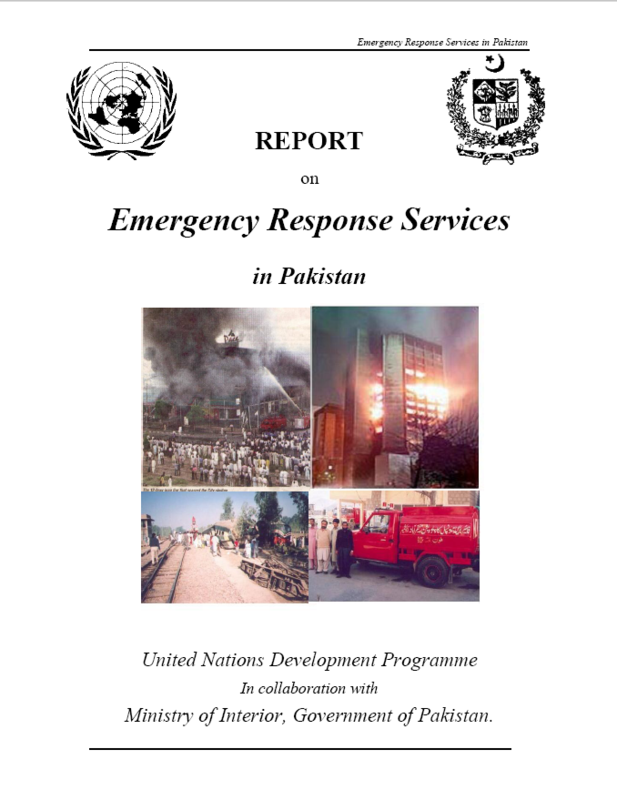 This report has been prepared by the UNDP in collaboration with the Ministry of Interior, Government of Pakistan to identify the gaps and formulate a strategy for effective management of emergencies and mitigation of disasters. 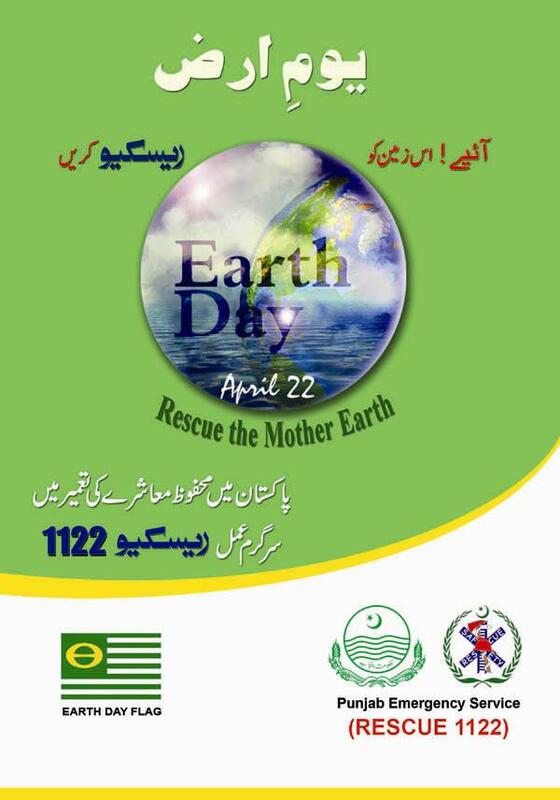 The increasing number of emergencies and disasters taking place due to the change in the environment, habitat, global warming, Ozone depletion and pollution etc have necessitated all communities to join hands to rescue the mother earth so that we can prevent these disasters.